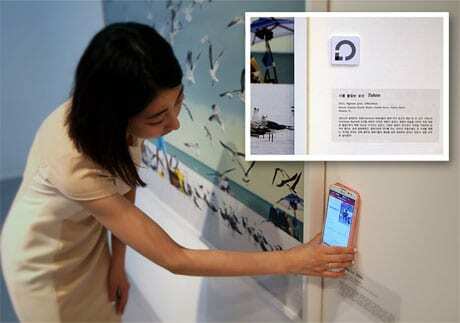 An exhibition at Seoul’s Savina Museum of Contemporary Art is to use NFC to allow visitors to download high definition images, delve into the stories behind each photograph and write and share reviews on Facebook. NFC provider LoveisTouch has added tags to Jordan Matter’s Dancers Among Us photography exhibition, which opened last night and runs until 22 September. “We applied [a] minimal and intuitive user interface and user experience so that our NFC service doesn’t interfere with the artworks and harm the identity of the place,” says LoveisTouch CEO Kyoung Jun Lee.